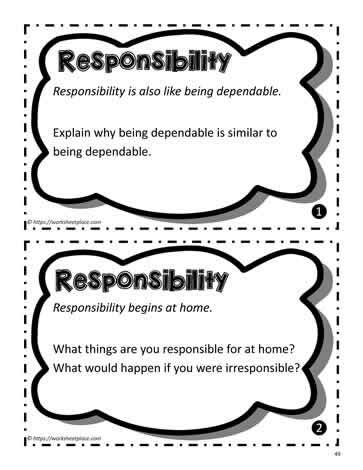 A series of task cards to teach the character pillar of responsibility. Teaching about responsibility. Grades 3-7 unit for character and the pillars of character.